Utility Body ladder racks, mount to side of truck. 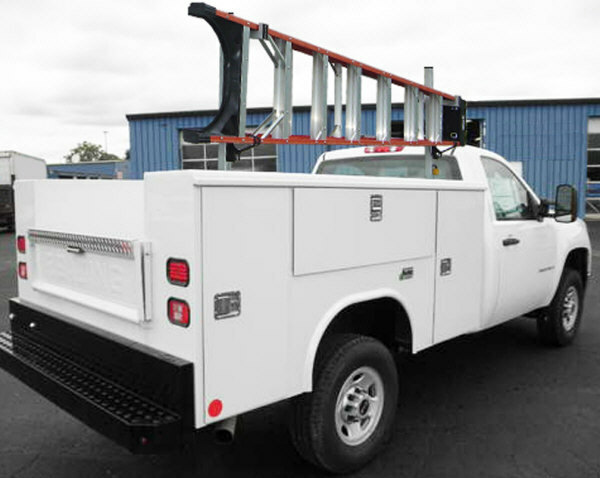 VertiRack's Utility Body Ladder Racks are a fantastic way to carry one or two ladders in the back of your utility truck without the inconvenience of having a dangerous overhead obstacle, in the form of an overbed ladder rack. so the ladders clear the top of the utility body, or the top of the truck cab. Ladder support arms and ladder securing straps can be located one either or both sides of the ladder rack's vertical rails. VertiRackTM Utility Body Ladder Racks, mount to side of truck.